Companies in India will increase the adoption of cloud competing technology over the next five years. The total cloud market in India, currently at $400 million, will reach $4.5 billion by 2015. Of which private cloud adoption will dominate and account for $3.5 billion in revenues, growing at over 60 per cent, according to a study. The study, ‘private cloud landscape in India' was done by EMC Corporation, a provider of IT service and solutions, and Zinnov Management Consulting, a management consulting firm. The Carbon Disclosure Project released a report that found that cloud computing may save large companies $12.3 billion a year in energy costs by 2020, also avoiding 85.7 million metric tons of carbon emissions. WSP Environment & Energy found that companies could realize per-transaction emission reductions of 95 percent on average by moving to the cloud. Jonathan Koomey has explored four reasons why cloud computing is generally far more energy efficient than using in-house data centers. Despite widespread adoption of cloud-based solutions by most industries, the healthcare industry has been slow to embrace cloud computing. While this slow adoption is partially due to concerns about safeguarding confidential patient information and compliance with key regulations such as HIPAA, many healthcare IT departments are simply burdened with outdated legacy systems and feel overwhelmed with the prospect of supporting yet another standard or protocol. If these obstacles can be overcome, cloud computing solutions can bring tremendous benefits to healthcare organizations as well as help them improve patient care and reduce overall healthcare costs. As per the APAC survey by EMC and IDC, about 56 percent of CIOs in India believe that the private cloud can change the IT funding model. There is significant scope for the private cloud as it offers businesses increased agility and responsiveness to changing priorities, better use of data center real estate, and consolidation and simplification of IT budgets. Such transformations are bound to be met with skepticism, apprehension and low confidence by customers initially. It is here that channel partners have to be fully committed to build the knowledge and skill base around cloud computing technologies and the prevalent market, speak the vendor’s language accurately, and pass on the confidence to the customer. 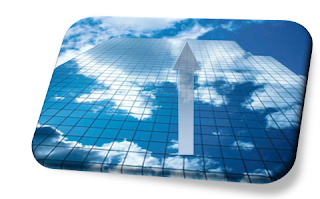 The role of the channel partner in the cloud computing era cannot be undermined. The channel also has to realize that in addition to selling cloud computing products there will be ample opportunities to offer services as well. The benefits of IaaS within a cloud environment are so significant they are almost self-evident. The elimination of infrastructure investment is a primary driver that can result in substantial capital expense savings. On-going upgrades and asset related outlays are virtually eliminated since these services are included in package pricing. Staffing costs can be significantly reduced, and in some cases, entire departments can be eliminated. For companies with sizable investments in existing data centers, build-outs can be delayed or avoided altogether.